When older people return home from hospital, they frequently find it difficult to establish their daily routines which means they are often readmitted. Yet the German healthcare system offers patients very little in the way of support during the transition phase from inpatient treatment to outpatient care. 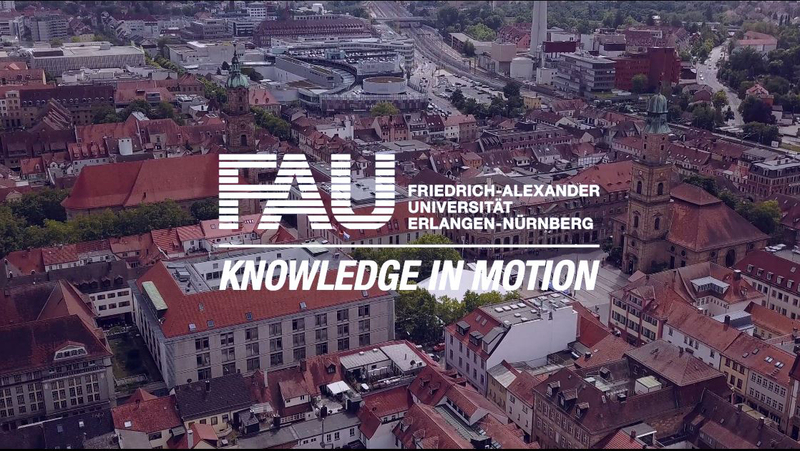 Part of the TIGER research project at the FAU Institute for Biomedicine of Aging (IBA) includes a study at the Barmherzige Brüder Hospital in Regensburg with several collaboration partners which aims to investigate whether targeted assistance during the transition phase can reduce the hospitalisation rate. Statistically, senior citizens over the age of 75 years need hospital care far more frequently than younger people – and the trend is on the rise. A simple bone fracture is often the reason for the first admission. During hospital care, muscles that are already weaker can degenerate further due to extended periods spent lying down; at the same time, new drugs are associated with various side effects and surgical intervention represents a huge challenge to the body. The bone fracture may well be on the road to healing on discharge from the hospital, but patients often arrive home in a weaker state than before. New challenges face them at home. Perhaps their fridge is empty, or the threshold to the bathroom has suddenly become a tripping hazard due to their limited mobility. Living life independently again seems an almost insurmountable obstacle. Already weakened, elderly patients are often unable to fight off infectious diseases. A lack of appropriate and timely intervention can trigger a decline in health and even critical deterioration in such cases. Consequentially, family members entrusted with caring for their relatives are unable to cope and the patients end up in a care home or back in hospital. The cost burden on the healthcare system also increases as a result. The team at FAU headed by Prof. Dr. Cornel Sieber and PD Dr. Ellen Freiberger of the TIGER (Transsectoral intervention programme to improve geriatric care in Regensburg) consider it particularly essential to provide more effective support of patients and their relatives during the transition phase from hospital to home-based care. They have thus developed a new concept specifically for this segment of the care system. Specialist carers will make the transition phase safer by taking patients and their relatives, as it were, by the hand and providing them with advice at home, especially during the first few weeks. These pathfinders will identify the best ways to support patients and form part of a larger interdisciplinary care network. At the hospital, nursing specialists and trained nursing staff will draw up a plan together with the patient and relatives and work in collaboration with discharge management for the period following hospitalisation. The plan will take specific factors into account, such as potential deterioration as well as how treatment of the illness should continue. During the first weeks at home, the pathfinder will coordinate outpatient treatments such as physiotherapy and nutritional consultations, or get in touch with the patient’s GP if necessary if there are signs of deterioration in the patient’s health. The most important principle of the TIGER programme is to ensure that care does not simply stop when a patient is discharged. The pathfinder will continue to monitor the patient – initially in the form of routine home visits, and then mainly through telephone calls. Each and every development will be accurately documented. This approach will make sure that any improvement, deterioration or new problem is detected in good time so that corresponding adjustments can be made to the personalised care plan. The international Transitional Care Model (TCM) is at the core of the TIGER project. This model aims to show older patients and the relatives caring for them how to deal with a specific health condition appropriately. Numerous studies have demonstrated that these measures help improve a patient’s state of health and consequently reduce the burden on the healthcare system. Although the problems associated with the transition from inpatient to outpatient care in Germany are known, the measures undertaken so far in this field are still in the fledgling stages and do not meet patients’ requirements. In view of the results reported where the TCM is in use, researchers at FAU predict that TIGER could reduce the rehospitalisation rate by at least 40%. This would benefit patients with a better quality of life and also sink healthcare costs. Clinical evidence is currently being gathered to support the new approach at the hospital in Regensburg.